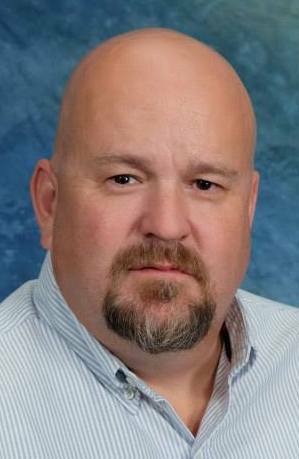 KALIDA- Frank Randolph Gardner, Jr., 50, died on September 11, 2018 at his home in the presence of family and friends who loved him deeply and cared for him as he transitioned from this world to the next. Though Frank fought an admirable and valiant battle with cancer until the very end, Frank’s life is best defined by how he lived, not by how he died. Throughout his life, from the time he was born in San Jose, CA on April 17, 1968 until his death, Frank was a person of great determination, strength, and wit. Though he could be stubborn, some might even say ornery, his big heart and loving nature were endearing, making him a welcome addition to any gathering of friends or family. Indeed, those who knew him best describe Frank as a “big teddy bear” because of his kindness and commitment to the well-being of others. Frank was a patriot who loved his country. After graduating from high school in Lewisville, Texas, he served honorably in the US Army during Operation Desert Storm, receiving numerous medals and commendations for his skills and bravery. Upon the completion of his courageous military service, Frank earned a BS in engineering from the University of North Texas, a degree that started him on a path that led to a career at Rudolph Foods in Lima, Ohio. He was a hard-worker and valued employee. His loyalty to the company and close camaraderie with coworkers made the community at Rudolph Foods a second family for Frank during the twenty-six years he worked there. Frank is survived by his wife Michelle and daughters Jacquelyn and Alexandria. Frank and Michelle’s relationship began at work and later deepened into a loving partnership based on mutual respect, trust, and love. Frank was a proud and devoted father whom his admiring daughter Alexandria describes as an “over-achiever.” He treasured opportunities to spend time with his family and particularly enjoyed watching his daughters play soccer. When he had spare time, Frank was an avid golfer who loved opportunities to get out on the green and play. Frank was proceeded in death by his parents, Frank Randolph Gardner, Sr. and Fay Gardner. A funeral service will be 11:00 a.m. Friday, September 14, 2018 at St. Michael Catholic Church, Kalida with Father Mark Hoying officiating. Burial will follow in the church cemetery. Friends and family are invited to a time of visitation on Thursday from 2 to 4 and 6 to 8 p.m. at Love-Heitmeyer Funeral Home, Jackson Township. The family requests that memorial donations be directed to Putnam County CAP. Online condolences may be expressed at www.lovefuneralhome.com.